Write with passion, purpose and common sense. Do you want to start a blog? 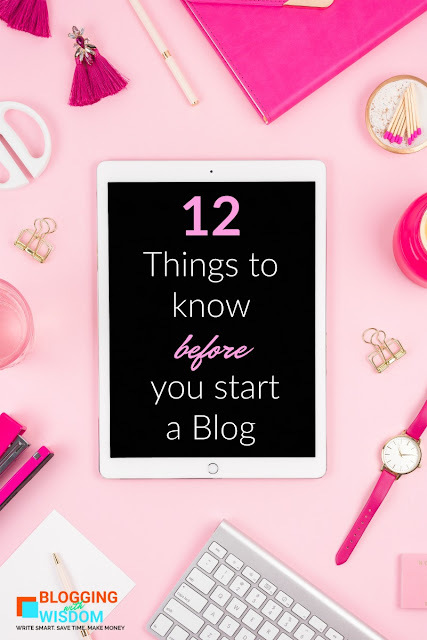 Here are 12 things that I want everyone to know before they start blogging. 15 years ago, on 23rd October 2003, I set out to become a blogger. I had no idea that years later, I would have turned my hobby into a full time job. I have already written about my journey into Blogosphere here. Today, I am writing for those of you who have asked me about Blogging and shown interest in wanting to start a blog themselves. So you want to be a blogger? Here is what you should know. When I first started blogging, blogs were called as a weblog and that is what they really were - a log of thoughts on the web. Bloggers wrote about their life, their daily struggles, ideas they had, intellectual discussions and debates. They were budding writers, amateur artists and some professionals too! There were scientists, students and mathematicians! Weblogging was their platform for ideas that they wanted to share with the world. We used it to practice what we learnt at school, we shared our crafts and passion or stayed in touch with loved ones through it and then some more. There was only one rule to weblogging - the blog be updated regularly. (That rule still holds.) The more popular blogs were those that were updated frequently. People were really that crazy enough to update them every few hours too… but then google became intelligent and bloggers tired off their hobby blog and started to slack off. Most of those bloggers quit but then some smart ones saw a future in their hobby... They played it right, learnt the ins and outs, taught themselves and their readers about the internet and their skills. Those that pursued became Problogger and Neil Patel. The rest of us either retired or we didn't 'see it coming'. The reality to blogging that most new bloggers don't realize is that blogging is not all fun and glamorous. There is a very hardworking person behind it who spend days and nights chipping away at the rock to create the gem. Here are 12 things to consider before you type that first post. 1. Readers don't magically appear. So you have put in all you have got and written a stellar post. It has great pictures, awesome quotes, some amazing details and you have managed to be funny too. Fantastic! But… so far in 2 days, there have been only 5 visits on it. 3 of them are yours and the other two are your best friend and your sister in law. You wait three more days and after 29 visits, you still don't get any comments. What are you doing wrong, you wonder. Where are all those readers? Umm… that’s the reality. Readers won't magically appear. Somebody (like Google for example… or Facebook…) will have to send you the traffic. Google will only find you if their robots can find your content. So… you will have to SEO your content. Optimize it for the google bots to read you. 2. People won't magically fall in love with you. Sorry. That’s true too, you know. We expect people to tell us how awesome our content is or at least follow our blog… but they won't follow you and they don't want to talk to you … How will you make them keep coming back if you don't even know who visited? 3. There will be haters. When there are comments, they may tell you they don't like your post. Oops! How will you handle that? 4. Blogging is never a part time job. Writing isn't the only thing you have to do. You will have tons of behind the scenes jobs like making graphics or working on your technical things and then… marketing that post! Post to Facebook 3 times a day, twitter multiple times, pin on Pinterest , other social media, interact with your audience, think about what to write about next… take pictures… get them to look good… how many hours can you take out of your day for blogging? 5. You won't always have things to write about. There may be days when you have no post to publish. Blogger's block… it is real. You better be well prepared for the no-ideas days. 6. You will not sell your product like hot cakes. 7. Brands will not send you free stuff. 8. You will not know how where to make money from. 9. Your blog will not look beautiful all by itself. First you will try to do it yourself, then you will hire people and then you will delete it all. You will buy themes that you don't like. Even stay up for hours trying to understand one line of code. The logo isn't right. Two column or no column..? How you wish it was easy as just painting it all with a brush! 10. You will tire off blogging and will want to quit. There will be tears. Yes. It has happened to too many of us. You will think about quitting. 11. Keeping a blog is expensive. Some day at the end of the first year you will wonder how you will pay for the hosting. Should you renew it… your spouse will want to know if what you are doing is really worth the investment. 12. You will have to do courses, read books and train hard to keep your hobby alive. Blogging is not a hobby. It’s a profession. You will spend more money on books and courses about blogging than you make from it. That's 12 things to know before you start a blog. This post was NOT written to scare you or make you want to run away from the thought. I am only stating the facts so that you know what you are getting into right from the start. It is always good to know the real picture. Blogging has changed a lot from when I started to blog. 15 years ago there was no social media. Most of us started our blogs because we needed a place to share our pictures, our stories and recipes. Now we have social media - Facebook for our status updates and Instagram to show what we are proud of. Blogging is now being replaced with microblogging. If exposure is what you seek, find the right social media for it. Nowadays, blogging is a place to show what you are an expert at. A blog is a place where you come looking for solutions. If you go on google and type in a query, the pages that you see below, they are the answers to the question you asked. Your blog, if it shows up there, it is because you had the answer to that person's question. 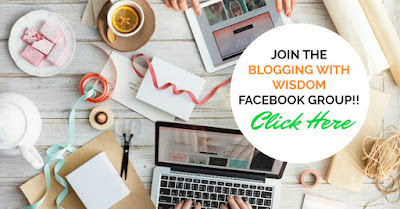 If you want to start a blog, think about what problems you are going to solve through your blog because if not, it is a very expensive hobby that costs not just money but also time. Why do you want to start a blog? If you can answer that question in one sentence, I guarantee you: you are going to be successful. Tell me in the comments: Why do you want to start a blog? Need help thinking it through? Download the planner that I share below. It will help you get your thoughts on paper. Even if you are a not new, it will help you write better. FREEBIE!! Grab this START A BLOG PLANNER and get blogging. I just start blogging reasons that i want to do something for myself.Share my own recipes and other my points and thoughts.I also write bt wants something to be digital.I wants to spend some mytime to do aomething related to my field.So i got to know about this blogging field. Do you want to start blog but don't know where to begin? This post is to answer all the questions that newbie bloggers have on how to start a blog for free. There are many reasons to want to start a blog but the biggest remains that there is a budding writer in all of us. Whatever your reason may be, I hope this post will help you learn how to start a blog for free. I have been blogging since 2003. It has been 15 years! I started just after my graduation and today, I really wish I had known that my hobby would become my profession and the means to earn from home while I sleep! Literally. How to connect your blogger account to a custom domain. If you want a professional looking site, you need a dot com address. Here is how to make your blogspot blog redirect to a custom url. If your blog is yourname.blogspot.com but you want it to be yourname.com, in this post I am going to show you how to do that. Let me show you how to connect your Blogger.Com account to a custom domain. Should you buy your domain from Blogger or an independent hosting company? Although, Blogger does give you a custom domain for a little fee, I highly recommend you buy it from somewhere else. Why put all your eggs in the same basket, right? Also, it is a lot cheaper. Please note: Some of the links in this post are affiliate links. I make a small commission if you click through and buy from my links. Where to get a Custom Domain Getting a domain is very simple. You just have to search on their site if the name is available and then follow the steps to pay for it.